The nursing profession provides a variety of opportunities for advancement and specialization. Nurses depend on the American Nurses Credentialing Center (ANCC) for certifications in numerous specialty practice areas. The ANCC is a subsidiary of the American Nurses Association and provides a nationally renowned certification program. ANCC-certified nurses are recognized as experts in their specialties by employers and colleagues. Nurses desiring certification to advance their career in managing a healthcare unit will want to consider taking the Nurse Executive Board Certification Examination offered by the ANCC. Candidates who are successful in passing the exam receive the credential of Nurse Executive – Board Certified (NE-BC). 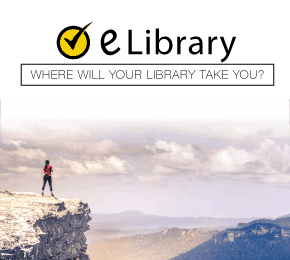 Mometrix, the world’s #1 test preparation company, has developed the Nurse Executive Study Guide and the Nurse Executive Practice Test to assist you in this endeavor. 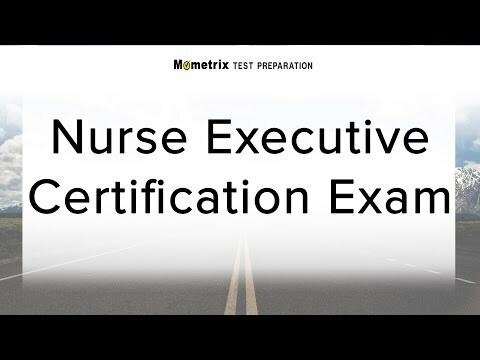 The Nurse Executive Exam is a computer-based test with a total of 175 questions; 150 of these questions are scored and 25 of these questions are pretest questions that are not counted in the total score. All questions should be carefully answered because there is no distinction on the test which of the questions are pretest questions and which are scored. The candidate’s score is solely based on the 150 scored questions. The 25 pretest questions are only used to determine future test questions and are not used in calculating the candidate’s final score. The total test time allowed is 3.5 hours. A maximum score of 500 is possible on the exam and a score of 350 is required to pass. If a passing score is not achieved on the first attempt, a waiting period of 60 days is required to retake it. A candidate is only allowed to take the exam three times in a 12 month period. Make the most effective use of your money and your study time by using the Nurse Executive Study Guide and Nurse Executive Practice Test developed by Mometrix. The test content consists of four domains of practice including Structure and Processes, Professional Practice, Leadership, and Knowledge Management. There will be 27 scored questions in the Structures and Processes domain making up 18% of the exam, 55 Professional Practice questions making up 37% of the exam, 33 Leadership questions making up 22% of the exam, and 35 Knowledge Management questions making up 23% of the exam. The Structures and Processes domain includes three subareas. The Human Capital Management subarea assesses knowledge of state and federal laws, employment relations, cross training, human resource practices, job descriptions, workplace culture, and organizational structure. These questions also evaluate skills in developing, implementing, and enforcing administrative procedures and policies and the ability to evaluate and modify them as the health care environment changes. The Financial Management subarea assesses knowledge of basic financial principles, budgeting, methods of reimbursement, contractual agreements, outsourcing, and staffing workload principles. The Health and Public Policy subarea incudes legal issues such as HIPAA, fraud, corporate compliance, whistle-blowing, electronic security, malpractice, harassment, and negligence. Consumer-driven health care, disaster planning, emergency response, public health policy issues, and prevention of legal issues are also covered in this subarea. The Professional Practice domain consists of three subareas. The Care Management/Delivery subarea addresses topics such as health care delivery models, health care settings, health care laws and regulations, accrediting bodies, nursing practice standards, creating staffing models, designing workflows, and procedures and policies ensuring compliance and organizational integrity. The Professional Practice Environment and Models subarea assesses knowledge of practice models, professional standards, credentialing, certification, performance appraisals, coaching, staff development, continuing education, mentoring, recruiting, staff retention, vision casting, staff accountability, shared governance, and critical thinking. The Communication subarea evaluates knowledge of communication styles and principles including verbal and nonverbal communication methods, safe patient care communication, negotiation strategies, team building, leveraging diversity, and conflict management. The Leadership domain contains three subareas. The Leadership Effectiveness subarea measures knowledge of leadership styles, leadership concepts and principles, mentoring, coaching, precepting, healthy work environments, emotional intelligence, self-reflection, diversity integration, workplace sensitivity, effectively managing change, relationship building, succession planning, and empowering employees. The Strategic Visioning and Planning subarea evaluates knowledge of strategic planning principles, nursing practice trends, healthcare environment trends, new program development, building support for new programs, performance measurement, evaluating processes, and effective program management. The Ethics and Advocacy subarea covers topics such as the ANA’s Code of Ethics, Patients’ Bill of Rights, corporate compliance, and privacy issues. These questions also address advocating for patients, staff and the nursing profession. The Knowledge Management domain has three subareas. The Quality Monitoring and Improvement subarea measures knowledge of systems theory, continual performance improvement, measurement of processes and outcomes, safety for employees and patients, evaluation of patient care, identification of quality issues and development of plans to address these issues. The Evidence-based Practice and Research domain covers topics such as requirements of the Institutional Review Board (IRB), evidence-based practice and research techniques, presentation of research findings, developing a culture for resources that support research, and evaluating research findings in order to integrate them into policies and procedures. Questions in the Innovation domain evaluates skills in creating environments that encourage and value innovative ideas to the benefit of patients, their families, the health care organization, and the community. This subarea also includes the development of a framework to implement new and innovative ideas, evaluation and application of technology to support these ideas, and encouraging innovation by leveraging diversity. Adequate preparation is necessary to pass the Nurse Executive Examination and receive certification. The Nurse Executive Study Guide developed by Mometrix is easy to read and includes all the material you need to know and also teaches you how to accurately apply the knowledge that you have learned. The Nurse Executive Practice Test includes answers and detailed explanations of those answers so that you can clearly understand which questions you missed and why you missed them. 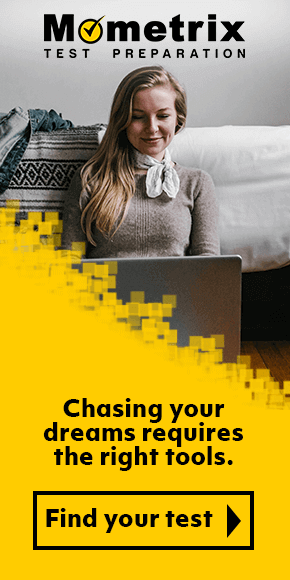 If you want to achieve the best results with the least amount of time studying, then this is what you have been looking for. Don’t wait any longer. 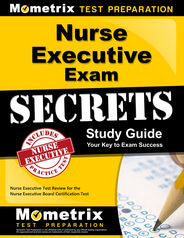 Order your Nurse Executive Study Guide and Nurse Executive Practice Test from Mometrix right now. You have nothing to lose. You can trust Mometrix, the world’s #1 test preparation company, to help you take the next step in your career. Mometrix Academy is a completely free Nursing Executive certification resource provided by Mometrix Test Preparation. If you find benefit from our efforts here, check out our premium quality Nurse Executive study guide to take your studying to the next level. Just click the Nurse Executive study guide link below. Your purchase also helps us make even more great, free content for test-takers. Our customers love the tutorial videos from Mometrix Academy that we have incorporated into our Nurse Executive test study guide. The Nurse Executive study guide reviews below are examples of customer experiences. I have used Mometrix “Secrets” for other nursing certification tests I have taken and passed on the first try every time. I like the fact that there guides are really “cut to the chase” without all the added “fluff” that some review books/courses/guides have in them. They don’t include the information you don’t need to know….just straight up and to the point. I found the study guide excellent because it provides the essential leadership concepts and it is organized in the table of contents in terms of flow of covered topics and importantly, with concise description. The tips provided for test taking are also excellent. This is not only a study guide but also a great resource for nurse leaders who are learning and re-learning. The practice questions are easy to follow with succinct rationale provided for each question. It is worth the money. I am a BSN, RN, OCN certified clinical nurse manager of an outpatient oncology and infusion services at hospital-based ambulatory clinics. I used the OCN Exam Certification secrets study guide in the passed to help prepare me for the OCN. I passed with flying colors and have recommended it to many people over the years! That is why, now that I hope to obtain my NE-BC I came back for more material! The book was easy to read and understand. I am able to relate examples and situations to my current practice. I believe this book has better prepared me to be successful taking the NEC exam. I will definitely recommend this book to my colleagues interested in taking this exam. I have not taken my certification test, however, so far I feel that both books will assist me in passing this test as well as provide a great resource for my position as a nurse manager in an ambulatory setting and reinforce the nurse executive critical thinking skills. The most beneficial information in these books for me is the specifics about leadership, knowledge management and success strategies. The guide is written in a clear and succinct manner. Easy to understand. The sample prep questions are great as they provide answers with rationales including the rationales for the incorrect answers. This book was a lifesaver!! I The simplicity of the book and definitions really helped me study for the exam. I also enjoyed the practice questions. Thank you for making this book! This helped me understand the subject matter in a way that made more sense to me. Because I understood better, I could remember the content and perform better on my exams. I recommend using this study guide. This material gave me solid ground of what the exam should be about. Easy to read and understand. In very simple steps go over all main topics that a candidate should be focusing on. Prepare the candidate to master the most important elements needed to pass the exam.